Shinrin-yoku is a term that means "taking in the forest atmosphere" or "forest bathing”. Originating in Japan, it has become a cornerstone of preventive health care and healing in Japanese medicine. Researchers have established a robust body of scientific literature on the health benefits of spending time under the canopy of a living forest. Now their research is helping to establish shinrin-yoku and forest therapy throughout the world. What better place to experience forest bathing than in the redwoods of Mendocino? To bring this practice to the North Coast, we have partnered with local wellness expert, Delphine Davidson, to create two programs that incorporate this practice. Delphine has spent the last 20 years of her life dedicated to helping others live their lives in harmony with nature. A certified yoga instructor, Clinical Traditional Family Herbalist and Health Coach, Delphine has completed programs at both the Appalachia School of Holistic Medicine and the Institute for Integrative Nutrition. She has studied over 200 dietary theories, practical lifestyle management techniques, and innovative coaching methods with some of the world’s top health and wellness experts including Andrew Weil, Deepak Chopra, David Katz, Walter Willett, and Geneen Roth. Now she is making this wealth of experience available to our guests. Time: 1.5 hours meditation, plus drive time. 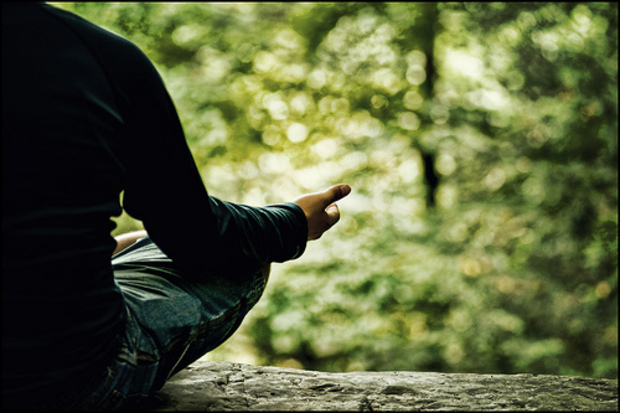 This is a guided forest meditation that will incorporate all five senses. Your Wellness Guide will meet you here at the inn and lead you to a quiet spot in the nearby woods where you will be familiarized with the practice of forest bathing. The experience will include some gentle walking, periods of quiet sitting, a guided meditative interaction with nature, breathing exercises, locally-made herbal tea and wild berries (when in season). Your blood pressure and heart rate will slow, your brain will quiet its normal whirl, the tension of life’s cares will slowly slip away. As your guide brings you back to the inn at the end of the session, you will feel refreshed, relaxed, and revitalized! Thank you!, your request has been submitted! Time: Full day, from 10:00 a.m. to 5:00 p.m. This is an entire day tailored to fit your wellness needs. After healthy breakfast here at the inn, your wellness guide will meet you in our lobby at 10:00 a.m. Together, you will begin by creating your own individualized holistic health strategy. Your guide will then work with you to formulate the best herbal teas for your body’s whole wellness. From there, you will move out to the deck where, with a serene view of Smuggler’s Cove in front of you, your guide will lead you through an hour of gentle yoga. Following the morning session and a light lunch prepared by our chef, you will follow your guide to the nearby woods where all five of your senses will be awakened as you are immersed in the art of forest bathing. The afternoon will be completed with an indulgent, hour-long soak in a private hot tub at in town at Mendocino’s Sweetwater Spa. Relaxed and rejuvenated, you are ready to take on our light dinner buffet as you reflect on the day’s experience.